I purchased my first collector car a little over fifty years ago, when you could still find them cheap in the classifieds section. It was 1963 and I finally had a few bucks in my pocket. My neurosurgical residency at the University of Pennsylvania wasn’t the most lucrative gig, but my living arrangements were spartan, and I knew how to stretch a dollar. My dad was a general practitioner who made three-dollar-a-visit housecalls on the wrong side of Kensington, Philadelphia, and he turned me on to cars as historical artifacts. He encouraged me to start collecting, and we’d visit junkyards together and build research dossiers on our favorite racecars. 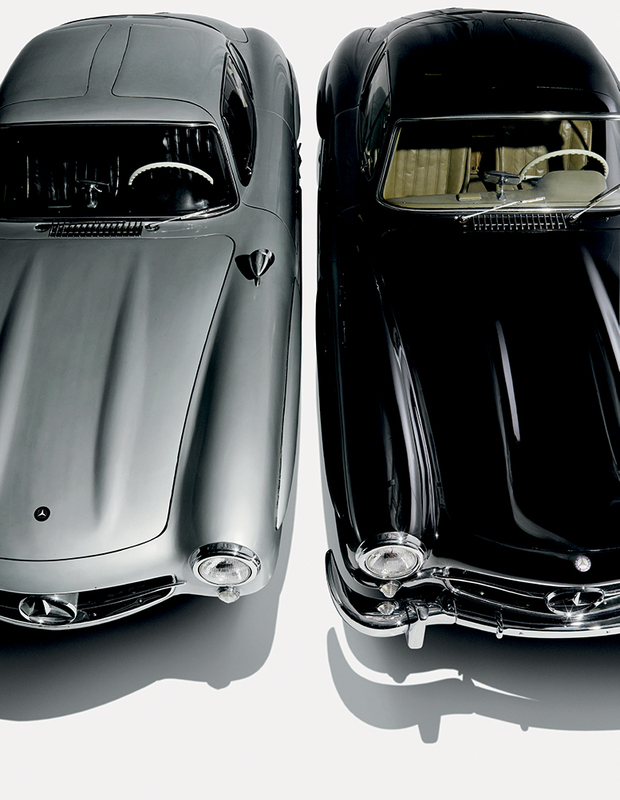 From the moment I laid eyes on the 300SL Gullwing, I was smitten. Based on Mercedes’ illustrious prewar Silver Arrow series, they were produced in limited numbers from 1955 thru the end of ’57. By 1963 — the year their replacement model, the 300SL Roadster, hit the market — they looked a bit dated to most buyers. Back then the Sunday New York Times was where you went to find cars. Collector magazines had classifieds, too, but generally the cars were scattered around the country. The ads in the Times were local, and the sellers were not as sophisticated. One Sunday morning, there she was: a 1954 300SL, priced to sell in suburban Philly. I made a quick deal over the phone with the owner — a pool builder who had taken the car in exchange for his services — and asked my girlfriend to pick me up. I’d be driving my new Gullwing home. Serial number 4500108 was silver and shiny and far from new, with 38,000 miles on the odometer. And for $3,500, she was mine. I have had no trouble with her since. From the moment I pulled into my parents’ driveway I could see my dad was in love. He even offered to let me store her in his garage. One day, not long after, I was driving by Jerry’s Auto Shop in town when I spotted a jet-black Gullwing with a for-sale sign on its dashboard. My car’s long-lost cousin, perhaps? I didn’t think much of it until I passed by Jerry’s again a month later and saw the Gullwing had been sold. I stopped in and asked Jerry where she’d gone. “Your dad bought it,” he said. I found out later he paid $4,700 for his, which makes me smile even now. Retired neurosurgeon Frederick Simeone is the executive director of the Simeone Foundation Automotive Museum in Philadelphia, which houses his collection of over sixty five historically significant cars.